New regulations at Machu Picchu regarding entrance and other important information for tourists traveling to Machu Picchu this summer. 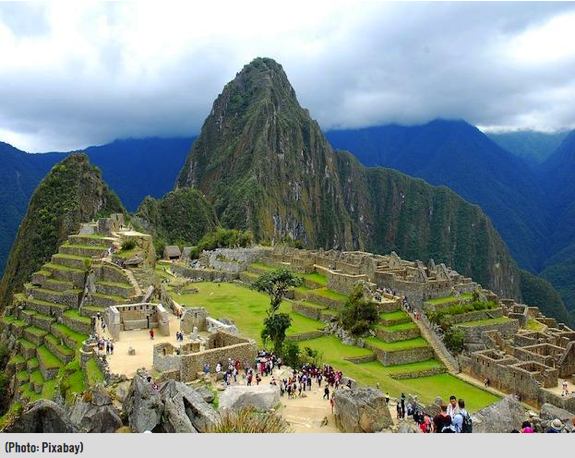 The number of people visiting Machu Picchu has grown exponentially. In 2016, a record 1.4 million people plus visited Machu Picchu, with more than five thousand people visiting per day (a near uncontrollable level) in July. These increases have resulted in long unwieldy lines of thousands of people trying to catch one of the shuttle buses to Machu Picchu from Aguas Calientes. The average wait time for a bus can reach 2-3 hours, especially in the early morning hours when most people want to get to the site to experience the sunrise. In 2017, the park administration of Machu Picchu together with the Peruvian government approved and implemented the new Regulations of Sustainable Use and Touristic Visits for the Conservation of the Inca City of Machu Picchu. The purpose of this new set of rules, implemented in accordance with the Master Plan of the Historic Sanctuary of Machu Picchu, is to ensure a better flow of people to the site. Entrance to the main attractions in Machu Picchu city now has two allocated entrance times. This means that visitors will only be permitted to enter Machu Picchu at the time they have been allotted and must exit the city by the time assigned. Only 250 people per time can climb this mountain. The average time to go up and down this mountain is about 3 hours – and 4 hours if one wishes to visit the Great Cavern. People should exit the Huayna Picchu by 13:00 PM. Only 400 people per time can climb this mountain. The average time to go up and down this mountain is about 4 hours. People should exit the Machu Picchu mountain by 15:00 PM. The best part of these changes is that there will be fewer tourists in Machu Picchu at any given time – at least, not as many as in the past. This will make the experience more pleasant and will allow people to enjoy the beautiful views without the huge crowds. The actual time spent at the archaeological site will be reduced to only 5 hours per entrance time. It seems that the people with permits to climb Huayna Picchu and Machu Picchu mountains will stay longer in the city (this has yet to be confirmed). These changes will alter the train schedules. People need to check with their tour operators which entrance time they have been allotted to enter Machu Picchu, to assist them to plan their trips and arrange hotels. Based on these changes, the best way to go to Machu Picchu is the Short Inca trail, because, on the one hand, the ancient road is a beautiful way to get to the Sungate and Machu Picchu; on the other hand, people hiking the short Inca Trail will be able to visit Machu Picchu twice. One at the end of the day of their hike, and when they return to Machu Picchu the following day. When it comes to crowds, the afternoon shift will be less busy than the morning one – particularly during the "low season" months. People will have to choose between attempting to see the sunrise at Machu Picchu or be in the presence of fewer individuals at the site. Finally, the Peruvian government has been implementing workshops and teach-ins with people involved in the travel market. The point of this is to correctly and gradually apply these changes without causing too much discomfort on our visitors. During these activities, the Peruvian government representatives have communicated that it will take between four and six months to enforce these new rules fully. Miguel is a Peruvian professional tour guide from Cusco, he has been leading tours throughout Peru for almost 20 years. Graduated from the Tupac Amaru Institute School of Tourism in Cusco, Peru, he has a vast knowledge of the rich cultural and ecological diversity of his beautiful country. Miguel specializes in leading tours to the Inca Trail and other alternative routes to Machu Picchu, such as the Choquequirao and Salkantay treks. Since 2003, he has traveled to the US and other countries to lecture about cultural appropriation and sustainable tourism. Miguel is a strong advocate of ecotourism and science. He values the role that tourists play in the development and protection of sensitive cultures and ecosystems and dedicates his work to raise the awareness of such players with the aim of furthering such a powerful tool. Also, he is the co-founder of Evolution Treks Peru, a Cusco-based worker-owned travel company.